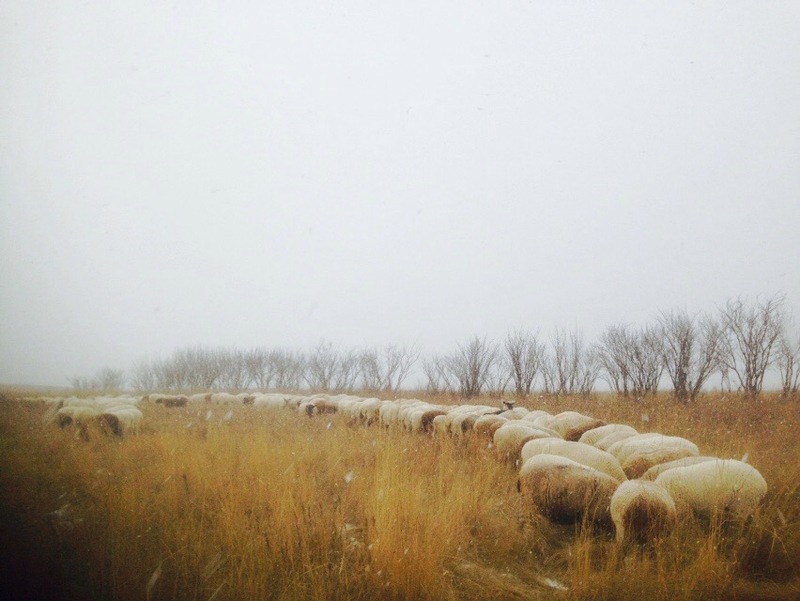 Wait 10 Minutes | Loch Lomond Livestock Ltd.
There’s a saying in Saskatchewan “if you don’t like the weather, wait 10 minutes”. Yesterday was the perfect example of this. It started off cool and cloudy with some flurries, then the sun broke through and warmer air seemed to move in. 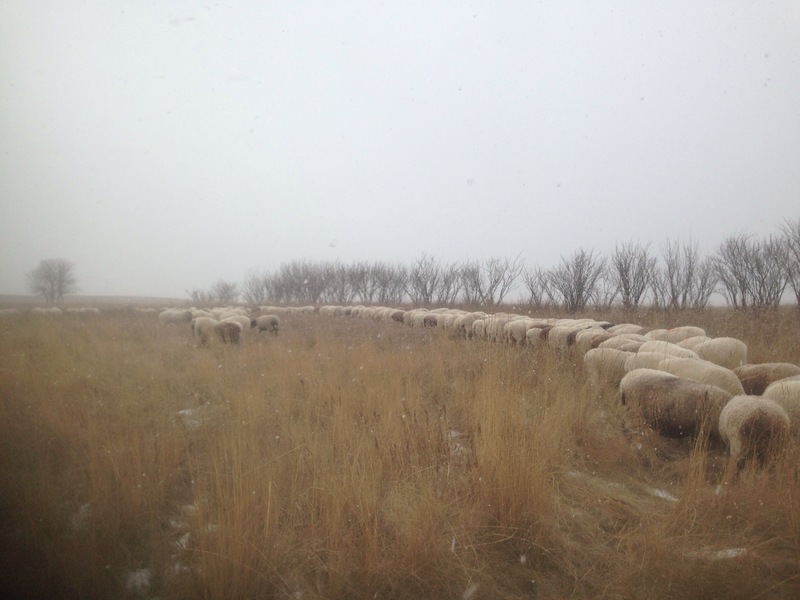 I was doing my morning chores, which involves feeding the ewes some grain in preparation for the upcoming breeding season. I filled up my grain cart and headed out towards the pasture. As I was leaving, the snow started to fall in big fluffy flakes. By the time I got to pasture (only 1/2 mile away) I could barely see where I was headed, but continued on towards the ewes. There was a strong wind gusting, so I headed towards some trees to feed them out of the wind. They came over and I fed the grain, and gave the guard dogs their food. This was the scene as the time, which doesn’t really do the weather justice. 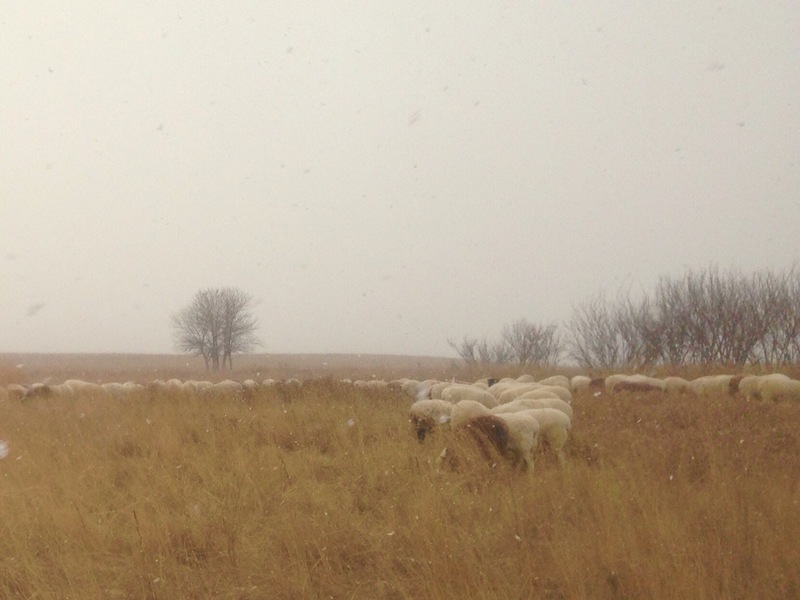 I then did a quick tour around to make sure all the ewes were there and accounted for, and by the time I made it back to the ewes (about 10 minutes) the snow had stopped and blue sky was peeking out from the clouds. The rest of the day seemed to follow the same pattern, from blizzard to sunny day in a matter of moments.